Cargo safety nets — for private use or use in commercial activity The cargo safety net may be spread on a trailer or on a delivery vehicle’s loading surface. They prevent loose goods from falling off of the vehicle during transport. You can purchase cargo safety nets in many variations for passenger cars, trailers or delivery vehicles. It is also possible to create your own net in accordance with your individual requirements. Cargo safety nets: ideal solution to cover and secure your load. Whether for the private or commercial sector: Cargo safety nets are the ideal solution when it comes to cargo on trailers, in vans or utility wagons. The nets are extremely robust and tear proof, they have a long service life and are manufactured from first-class materials. 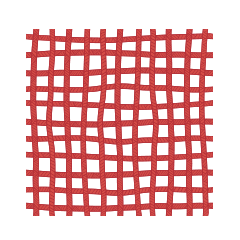 Furthermore, all nets you can buy at our Store are certified (by DEKRA), so you can rely on quality and functionality at any time. Many models offer also the possibility to order your product individually designed and made to measure. Just indicate length and width, and the corresponding fields to enter the data are available next to each product description. Our system simultaneously calculates the area in square meters and shows the total price. There is no faster way to tell us your orders made to measure! Different mesh sizes and closing edges. Depending on your needs, safety nets have to meet different requirements. Therefore, we have a very extensive product range since we would like to offer you the perfect solution for your business or private requirements. Whether coarse or closed meshed, very heavy or, even better, as light as a feather, whether equipped with a strong cord at the edge or rather a convenient end strap, we only deliver top brand quality and each product is subject to very strict and critical tests before it is sold for the first time. It will only be offered at our store, if we accept its workmanship and quality without any reservations. You can rely on our cargo safety nets in every respect: Trust on advanced and matured processing technologies and convince yourself today of the extraordinary auxiliaries for your cargo securing. We will inform you immediately, when you can expect the goods to be delivered. No matter, if you choose one of our safety nets or other products from us: Our "traffic light system" shows you reliably and clearly when the goods are expected to arrive at your premises. The green colour indicates immediate availability, the item can be shipped immediately. Yellow usually means that the time of delivery is one to two weeks. Thanks to the deadline indication, you can plan more precisely and not risk to be unable to execute an order. Should you have doubts as to which net to choose, you can quickly and easily contact one of our experts via our support hotline who will assist you with his know-how thanks to continuous trainings they undergo. He or she will be delighted to answer your questions regarding our high-quality cargo safety nets and can advise you regarding the application.